Context: Type 2 diabetes mellitus (type 2 DM) is a heterogeneous and complex combination of metabolic condition caused by high levels of blood glucose and insulin resistance or insulin deficiency. Some studies suggest the increased levels of gastrin following the administration of proton pump inhibitors (PPIs), which seek to improve glycemic status and increased pancreatic insulin content. Aim: We determined the effect of pantoprazole on glycemic control in patients with type 2 DM. Material and Methods: Two groups, each with 30 patients of type 2 DM under treatment with oral hypoglycemic agent, were considered for this study. Patients were treated for 24 weeks with placebo or 40 mg pantoprazole tablets twice daily. Fasting blood glucose (FBG), postprandial blood glucose (PP blood glucose), as well as glycated hemoglobin (HbA1C) before and after treatment were measured. Statistical Analysis: A hospital-based, randomized, double-blind, placebo-controlled study was used. Data were expressed as mean with standard deviation, numbers, and percentage. Baseline parameters and laboratory safety parameters were compared using appropriate parametric and nonparametric tests. A P value <0.05 was considered as significant. Results: The mean FBG readings at baseline in the intervention and control groups were 170.47 ± 16.65 and 163.39 ± 14.95 mg/dL, respectively, and those at the end of intervention were 157.95 ± 14.37 and 165.32 ± 12.40 mg/dL. The within-group changes in the intervention group were statistically significant (P = 0.003). The statistical analysis between groups after intervention showed a significant differences (P = 0.03). HbA1C changes in the intervention and control groups in the study were 0.53 ± 0.03% and 0.20 ± 0.08%, respectively, but a decrease in the intervention group was statistically significant (P = 0.005). In the end, the change between the two groups was also statistically significant (P = 0.005). Conclusions: There is a significant reduction in FBG, PP blood glucose, and HbA1C after 24 weeks of pantoprazole (40 mg BID) administration, which improved glycemic control in type 2 DM patients. PPI such as pantoprazole may be a new therapeutic approach in type 2 DM in future. Type 2 diabetes mellitus (type 2 DM) is a complex heterogeneous group of metabolic conditions characterized by increased level of blood glucose due to two defects − insulin resistance and insulin deficiency, there are plethora of drugs targeting these two defects. Recently, the focus has been on strengthening the enteroinsular axis and incretins. Beta cell loss and dysfunction play important roles in the pathogenesis of both type 1 and type 2 DM. Recent studies have suggested that age-dependent deterioration of type 2 DM is associated with progressive loss of beta cell function. Most medications being used to treat type 2 diabetes cannot prevent β-cell death or re-establish β-cell mass. The secretion of gastrin is stimulated by various factors, such as considerable distension of the stomach, vagal stimulation, the presence of food (especially protein, peptides, and amino acids) in the stomach and high pH levels in the stomach cavity., The gastrin receptor, cholecystokinin B (CCK-B), binds to gastrin and to cholecystokinin with a similar high affinity. CCK-B receptor/gastrin receptor is involved in glucose homeostasis in adult humans and mediates the autocrine effects of gastrin on islet differentiation and growth in the fetal pancreas. It is reported that gastrin promotes β cell neogenesis in pancreatic ductal complex, modest pancreatic β cell replication, and improvement of glucose tolerance in animal models, in which the remodeling of pancreatic tissue is promoted.,,,,, A report suggesting that, in 95% of the pancreatectomized rats, gastrin treatment not only increased β cells neogenesis from ductal cells but also caused both a modest increase in replication and a decrease in apoptosis in β cells with the resultant improvement of glucose tolerance. Interestingly, in type 2 DM animal models, it has been reported that PPIs improved glycemic control, probably via possible effects on augmenting both serum levels of gastrin and β cell mass. Therefore, these agents appear to have the possibility of being a new approach for the therapy of diabetes. The study was duly approved by the ethical committee of S.N. Medical College, Agra before study commencement. Written informed consent was obtained from every patient before study specific procedure. The study was conducted in S.N. Medical College and Hospital, Agra, India. Previously diagnosed type 2 DM patients and newly diagnosed patients attending out patient department (OPD)/diabetic OPD taking oral hypoglycemic agent (OHA) during the duration of the study were, included in the study. Excluded from the study are patients with malignancies, systemic or local infection, hepatic or renal disease (creatinine levels >1.5 mg/dL), coronary artery disease/inflammatory bowel syndrome/tuberculosis/collagen vascular disease, past and current users of insulin, pioglitazone, or incretin-based therapies. Patients receiving systemic glucocorticoids or immune-suppressants using supplemental vitamins, statins, antibiotics or those who smoked or used alcohol in the 12 weeks prior to the study were also excluded from participation. Pregnant or lactating women and patients treated with bismuth salts, H2 receptor blockers or PPIs in the preceding 3 months were also excluded. Two groups: Group 1–placebo group − patient on OHA (metformin, or sulphonylurea or metformin + sulphonylurea) with placebo. Group 2–intervention group − patient on OHA (metformin, or sulphonylurea or metformin + sulphonylurea) with added therapy of pantoprazole 40 mg BID for 24 weeks. All the patients were advised to follow dietary restriction and life style modification as recommended. No new change in drug/addition of new drugs or change in lifestyle and dietary habits were allowed. All the patients were examined, and weight of patient, body mass index (BMI), fasting blood glucose (FBG), postprandial blood glucose (PP blood glucose) and glycated hemoglobin (HbA1C) were estimated at baseline and 24 weeks. Blood glucose was measured by glucose hexokinase method and HbA1C was measured by high performance liquid chromatography method. Patients were divided into two groups (1) intervention group and (2) placebo group, and a hospital-based randomized double-blind placebo-controlled study were used. Data were expressed as mean with standard deviation, numbers, and percentage. Baseline parameters and laboratory safety parameters were compared using appropriate parametric and nonparametric tests. A P value <0.05 was considered as significant. The study was conducted in S.N. Medical College and Hospital, Agra, India. In this study, 62 patients of type 2 DM were considered; out of which, 30 were randomly allotted in intervention (study group) and 30 were randomly allotted in placebo (control group). Two patients, one in intervention group and one in placebo group did not appear after first visit. There were 30 patients in intervention group with mean age 57.03 ± 9.25 years and 30 patients in placebo group with mean age 57.43 ± 8.2 years. There were no significant differences of age distribution of patients in these two groups (P = 0.8604). There were random distribution of male and female patients in both intervention and control groups, with no significant difference (P = 0.7745). In intervention group, there were 21 males (70%) and nine female (30%), and in control group, there were 22 males (73.3%) and eight female (26.7%). All the other baseline characteristics including duration of DM, blood pressure, weight, height, BMI, smoking, and type of OHA, alcohol intake do not differ in the two groups. In the intervention group, there were 17 patients on metformin therapy alone, three patients were on sulphonylurea (glimipride), and 10 patients were on metformin and sulphonylurea (glimipride). In the control group, there were 16 patients on metformin therapy alone, five patients were on sulphonylurea (glimipride), and nine patients were on metformin and sulphonylurea (glimipride). There were, no significant difference in between these groups (P = 0.75). 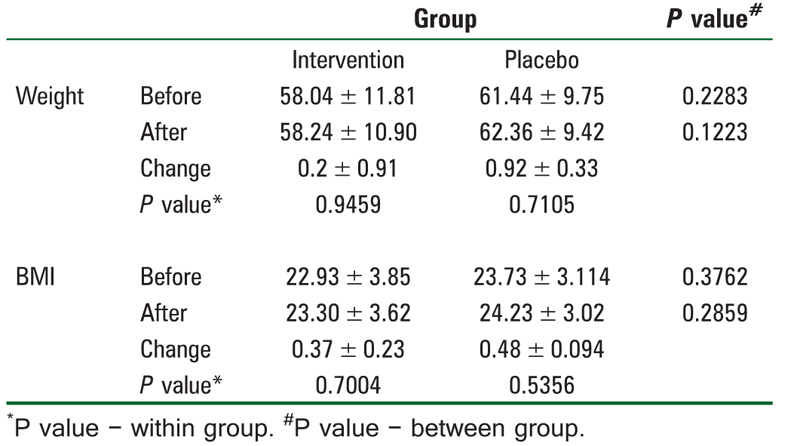 [Table 1] is showing the weight and BMI of the patients before and after intervention and placebo. There were no significant change in weight and BMI of the patients observed before and after intervention (P = 0.94) and placebo (P = 0.70). In intervention group, the mean FBG of patients before intervention 170.47 ± 16.65 mg/dL and after intervention (24 weeks of PPI administration), mean FBG of patients were 157.95 ± 14.37 mg/dL. There noted a change of 12.52 ± 2.28 mg/dL in FBG before and after PPI administration, and it is statistically highly significant (P = 0.0028). In placebo group, the mean FBG of patients before placebo were 163.39 ± 14.95 mg/dL and after placebo, mean FBG of patients were 165.32 ± 12.40 mg/dL. There are change of 1.93 ± 2.55 mg/dL in FBG before and after placebo, and it is not statistically significant (P = 0.5890) [Table 2]. In intervention group, the mean PP blood glucose of patients before intervention 242.83 ± 26.98 mg/dL and after intervention (24 weeks of PPI administration), mean PP blood glucose of patients were 219.58 ± 24.83 mg/dL. There are change of 23.83 ± 2.15 mg/dL in PP blood glucose before and after PPI administration, and it is statistically significant (P = 0.001). In placebo group, the mean PP blood glucose of patients before placebo were 225.30 ± 23.88 mg/dL and after placebo, mean PP blood glucose of patients were 232.08 ± 19.16 mg/dL. There are change of 6.78 ± 4.72 mg/dL in PP blood glucose before and after placebo and it is not statistically significant (P = 0.23) [Table 2]. In intervention group, the mean HbA1C of patients before intervention 7.90 ± 0.70% and after intervention (24 weeks of PPI administration), mean HbA1C of patients were 7.37 ± 0.73%. There were change of 0.53 ± 0.03% in HbA1C before and after PPI administration and it is statistically significant (P = 0.005). In placebo group, the mean HbA1C of patients before placebo were 7.63 ± 0.56% and after placebo, mean HbA1C of patients were 7.83 ± 0.48%. There were changes of 0.20 ± 0.08% in HbA1C before and after placebo, and it is not statistically significant (P = 0.15) [Table 2]. In type 2 DM, there is a gradual deterioration in β-cell function in patients with type 2 DM. Type 2 diabetes is a progressive disease characterized by increasing dysfunction of pancreatic β-cell either through inactivation or apoptosis. The effect of pantoprazole on glycemic control, that is, a decrease in HbA1C, FBG, and PP blood glucose may be due to incretin like effects of gastrin, because gastrointestinal peptides stimulate β cell insulin secretion and/or proliferation, resulting in enhanced glucose-dependent insulin release.,,,,,,,,, In pancreatic duct-ligated rat model of diabetes, iv-infused gastrin enhanced β-cell neogenesis and insulin secretion, resulting in improved blood glucose control. Administration of lansoprazole resulted in similar findings in the Psammomys obesus model of type 2 DM, thus establishing the relationship among PPIs, gastrin, and glucose-insulin homeostasis. PPIs also delay gastric emptying, which could result in timely exposure of glucose to ileum, thereby providing conducive ambience for incretin hormones secretion, and thereby resulting into a decrease in postprandial glucose levels., The other possibility may be a direct effect of gastrin on glucose dependent insulinotropic peptide and glucagon like peptide-1 secretion from the K and L cells of the small intestine, respectively; however, it remains conjectural. In the previous study, there observed a significant reduction in HbA1C, FBG, PP blood sugar, and increase in serum gastrin and serum insulin level was also found.,,, There is a 2–3 fold increase in serum gastrin level occurs after 24–32 weeks of PPI therapy. HbA1C is considered the best parameter for evaluating the glycemic control, and for assessing the efficacy of ant diabetic medications, PPIs were shown to decrease HbA1C. In our study, the reduction in HbA1C is in concordance with earlier reports, where it was 0.5–0.7% with PPIs. This study lasted for a longer duration of 24 weeks compared to a previous study, and has more advantage in increasing serum gastrin level, but the limitation of our study is that we could not measure serum gastrin and serum insulin level, because these tests are not available in our college. Sample size of this study is also larger than the previous study. There is a significant reduction in FBG, PP blood glucose, and HbA1C after 24 weeks of pantoprazole administration, which improved glycemic control in type 2 DM patients. PPI (pantoprazole) may be a new therapeutic approach in type 2 DM in future. Das SK, Elbein SC. The genetic basis of type 2 diabetes. Cell Sci 2006;2:100-31. Tamaki M, Fujitani Y, Uchida T, Hirose T, Kawamori R, Watada H. Combination treatment of db/db mice with exendin-4 and gastrin preserves β-cell mass by stimulating β-cell growth and differentiation. J Diabetes Invest 2010;1:172-83. Ashwini V, Suresha RN, Sushma VN, Pushpa VH, Yashoda C, Pragathi B. The effect of pantoprazole on oral glucose induced glycaemic changes in normal albino rats. Int J Pharm Bio Sci 2012;3:516-25. Rooman I, Lardon J, Bouwens L. Gastrin stimulates beta cell neogenesis and increases islet mass from trans-differentiated but not from normal exocrine pancreas tissue. Diabetes 2002;51:686-90. Lugari R, Dei Cas A, Ugolotti D, Finardi L, Barilli AL, Ognibene C et al. Evidence for early impairment of glucagon-like peptide 1-induced insulin secretion in human type 2 (noninsulin-dependent) diabetes. Horm Metab Res 2002;34:150-4. Najafipour F, Omidvar M, Reshadatjoo M. Effects of pantoprazole on serum glucose level in type two diabetic patients. Int J Curr Res Acad Rev 2015;3:427-36. Sheen E, Triadafilopoulos G. Adverse effects of long-term proton pump inhibitor therapy. Dig Dis Sci 2011;56:931-50. Ligumsky M, Lysy J, Siguencia G, Friedlander Y. Effect of long term, continuous versus alternate-day omeprazole therapy on serum gastrin in patients treated for reflux esophagitis. J Clin Gastroenterol 2001;33:32-5. Hu YM, Mei Q, Xu XH, Hu XP, Hu NZ, Xu JM. Pharmacodynamic and kinetic effect of rabeprazole on serum gastrin level in relation to CYP2C19 polymorphism in Chinese Hans. World J Gastroenterol 2006;12:4750-3. Cadiot G, Vissuzaine C, Pospai D, Ruszniewski P, Potet F, Mignon M. Effect of prolonged treatment with proton pump inhibitors on serum gastrin levels and the fundus mucosa. Gastroenterol Clin Biol 1995;19:811-7. Koop H, Klein M, Arnold R. Serum gastrin levels during long-term omeprazole treatment. Aliment Pharmacol Ther 1990;4:131-8. Sanders SW, Tolman KG, Greski PA, Jennings DE, Hoyos PA, Page JG. The effects of lansoprazole, a new H+,K(+)-ATPase inhibitor, on gastric pH and serum gastrin. Aliment Pharmacol Ther 1992;6:359-72. Burkitt MD, Varro A, Pritchard DM. Importance of gastrin in the pathogenesis and treatment of gastric tumors. World J Gastroenterol 2009;15:1-16. Takebayashi K, Terasawa T, Naruse R, Hara K, Suetsugu M, Tsuchiya T. Long term evaluation of glycemic control in patients with type 2 diabetes receiving either alogliptin and lansoprazole or alogliptin mono-therapy for 3 months followed by alogliptin mono-therapy: A retrospective analysis. Dokkyo J Med Sci 2015;42:117-25. Hansen OH, Pedersen T, Larsen JK, Rehfeld JF. Effect of gastrin on gastric mucosal proliferation in man. Gut 1976;17:536-41. Schubert ML, Makhlouf GM. Neural, hormonal, and paracrine regulation of gastrin and acid secretion. Yale J Biol Med 1992;65:553-60. Dufresne M, Seva C, Fourmy D. Cholecystokinin and gastrin receptors. Physiol Rev 2006;86:805-47. Saillan-Barreau C, Dufresne M, Clerc P, Sanchez D, Corominola H, Moriscot C. Evidence for a functional role of the cholecystokinin-B/gastrin receptor in the human fetal and adult pancreas. Diabetes 1999;48:2015-21. Téllez N, Joa NN, Escoriza J, Vilaseca M, Montanya E. Gastrin treatment stimulates β-cell regeneration and improves glucose tolerance in 95% pancreatectomized rats. Endocrinology 2011;152:2580-8. Rehfeld JF, Stadil F. The effect of gastrin on basal- and glucose stimulated insulin secretion in man. J Clin Invest 1973;52:1415-26. Bödvarsdóttir TB, Hove KD, Gotfredsen CF, Pridal L, Vaag A, Karlsen AE et al. Treatment with a proton pump inhibitor improves glycaemic control in Psammomys obesus, a model of type 2 diabetes. Diabetologia 2010;53:2220-3. Zollinger RM, Ellison EH. Primary peptic ulcerations of the jejunum associated with islet cell tumors of the pancreas. Ann Surg 1955;142:709-28. Suarez-Pinzon WL, Cembrowski GS, Rabinovitch A. Combination therapy with a dipeptidyl peptidase-4 inhibitor and a proton pump inhibitor restores normoglycaemia in non-obese diabetic mice. Diabetologia 2009;52:1680-2. Singh PK, Hota D, Dutta P, Sachdeva N, Chakrabarti A, Srinivasan A. Pantoprazole improves glycemic control in type 2 diabetes: A randomized, double-blind, placebo-controlled trial. J Clin Endocrinol Metab 2012;97:2105-8. Hove KD, Brøns C, Færch K, Lund SS, Petersen JS, Karlsen AE et al. Effects of 12 weeks’ treatment with a proton pump inhibitor on insulin secretion, glucose metabolism and markers of cardiovascular risk in patients with type 2 diabetes: A randomised double-blind prospective placebo-controlled study. Diabetologia 2013;56:22-30. Mefford IN, Wade EU. Proton pump inhibitors as a treatment method for type II diabetes. Med Hypotheses 2009;73:29-32. Crouch MA, Mefford IN, Wade EU. Proton pump inhibitor therapy associated with lower glycosylated hemoglobin levels in type 2 diabetes. J Am Board Fam Med 2012;25:50-4. Boj-Carceller D, Bocos-Terraz P, Moreno-Vernis M, Sanz-Paris A, Trincado-Aznar P, Albero-Gamboa R. Are proton pump inhibitors a new antidiabetic drug? A cross sectional study. World J Diabetes 2011;2:217-20. Barchetta I, Guglielmi C, Bertoccini L, Calella D, Manfrini S, Secchi C et al. Therapy with proton pump inhibitors in patients with type 2 diabetes is independently associated with improved glycometabolic control. Acta Diabetol 2015;52:873-80. González-Ortiz M, Martínez-Abundis E, Mercado-Sesma AR, Álvarez-Carrillo R. Effect of pantoprazole on insulin secretion in drug-naïve patients with type 2 diabetes. Diabetes Res Clin Pract 2015;108:e11-3. Han N, Oh M, Park SM, Kim YJ, Lee EJ, Kim TK et al. The effect of proton pump inhibitors on glycated hemoglobin levels in patients with type 2 diabetes mellitus. Can J Diabetes 2015;39:24-8. Nathan DM, Buse JB, Davidson MB, Ferrannini E, Holman RR, Sherwin R et al. Medical management of hyperglycemia in type 2 diabetes: A consensus algorithm for the initiation and adjustment of therapy: A consensus statement of the American Diabetes Association and the European Association for the Study of Diabetes. Diabetes Care 2009;32:193-203. Peters A. Incretin-based therapies: Review of current clinical trial data. Am J Med 2010;123 (Suppl):28-37. Singh P, Indaram A, Greenberg R, Vis Valingam V, Bank S. Long term omeprazole therapy for reflux esophagitis: Follow-up in serum gastrin levels, EC cell hyperplasia and neoplasia. World J Gastroenterol 2000;6:789-92.